This entry was posted on Friday, August 12th, 2011 at 20:43 and is filed under Uncategorized. You can follow any responses to this entry through the RSS 2.0 feed. You can leave a response, or trackback from your own site. Good to see you back in action and posting again. Have you got any picts of the new hot-end? I’m interested to see how it adapted to your existing extruder. Did it mount ok? Interesting that it’s allowing you to print faster. 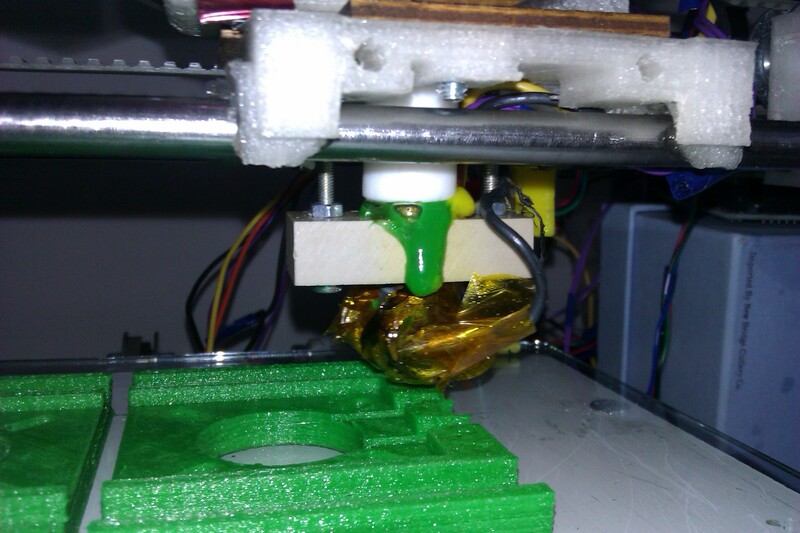 It mounted really easily with makergears groovemount idea.